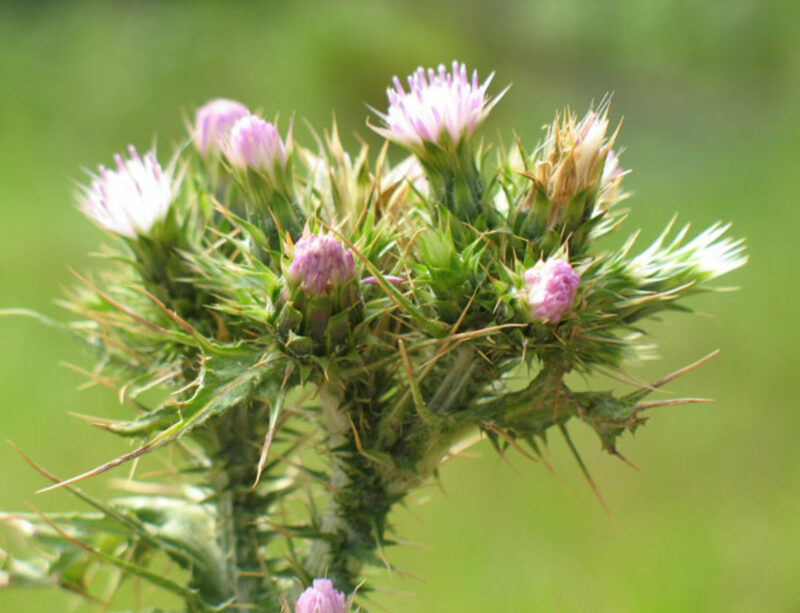 Slenderflower thistle invades range lands and pastures, outcompeting desirable forage plants and native plant species by forming dense stands. Stems grow up to around 6.5 feet and are unbranched to branched and plants are covered in loose, woolly hairs. It germinates in the fall, then overwinters as a rosette (a radiating cluster of leaves) and produces flowering stalks in late spring. Flowerheads are clustered in groups of 5 to 20+ at branch tips. Flowers pinkish, 0.4 to 0.6 inches long. Outer bracts at the base of flower head with 1 to 2 mm long spine tips and inner bracts without spines. Bract margins slightly membranous. Leaves at stem base are generally 3.9 to 9.8 inches long. They have 6 to 10 spine-tipped lobes and tapered leaf bases forming winged leaf stalks. Leaves are often covered with loose woolly hairs. 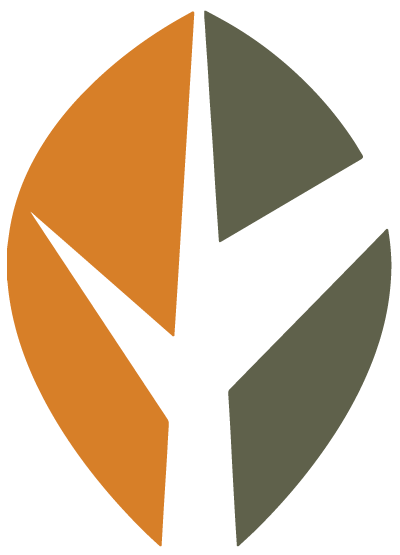 Stem leaves are shorter, less lobed and stalkless. Stems have large spiny wings that form from leaf bases that run down stems. 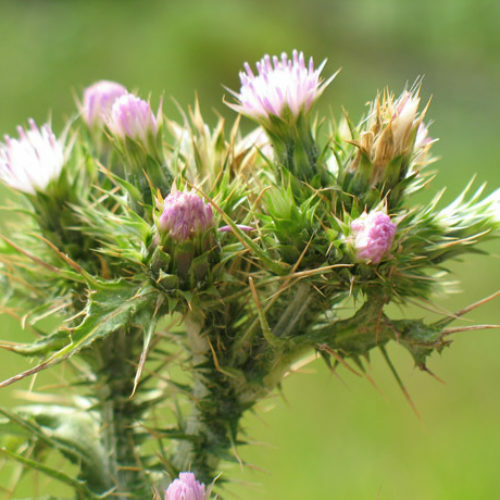 Slenderflower thistle has a seed (achene) within a dry covering, with bristles on the top end. It is 0.16 to 0.20 inches (4 to 5 mm.) long. 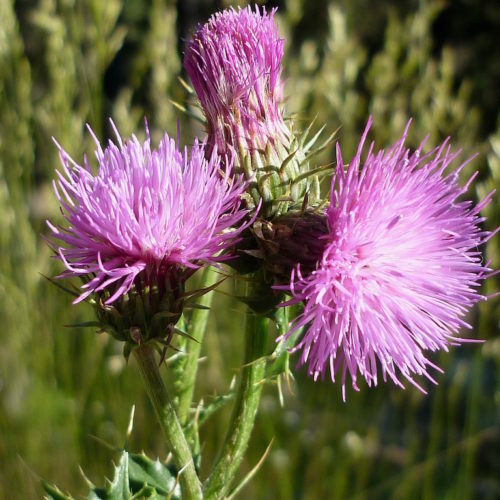 Italian thistle, Carduus pycnocephalus, is similar but it generally has fewer flowerheads (1-5), than slenderflower thistle, Carduus tenuiflorus (5-20 flowerheads). 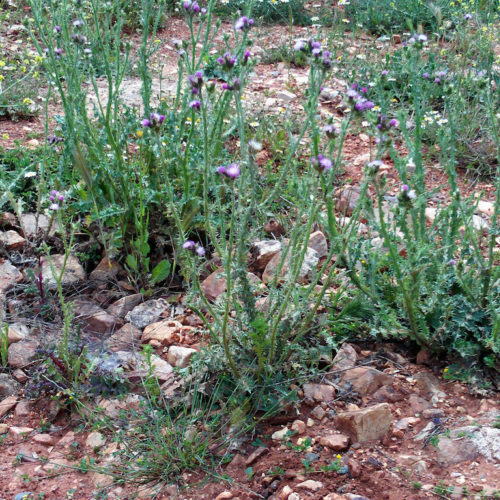 Slenderflower thistle grows in dry open areas such as pastures, ranges, right-of-ways and areas of disturbance. 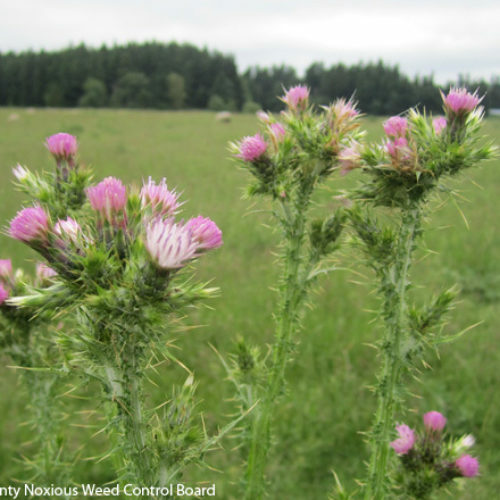 Please click here to see a county level distribution map of slenderflower thistle in Washington. Slenderflower thistle reproduces by seed.  Tilling or digging out slenderflower thistle are effective methods of mechanical control. 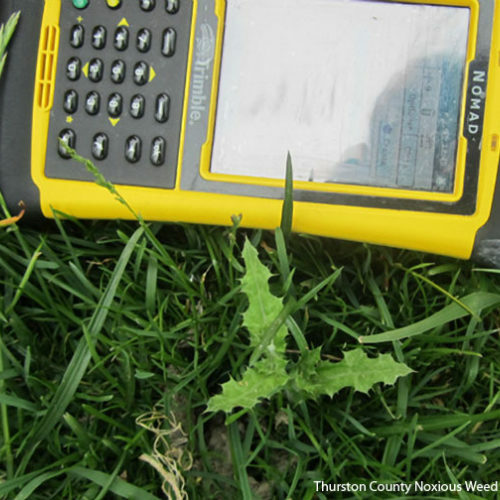 Deferring sheep grazing until autumn has been effective in reducing stand density. 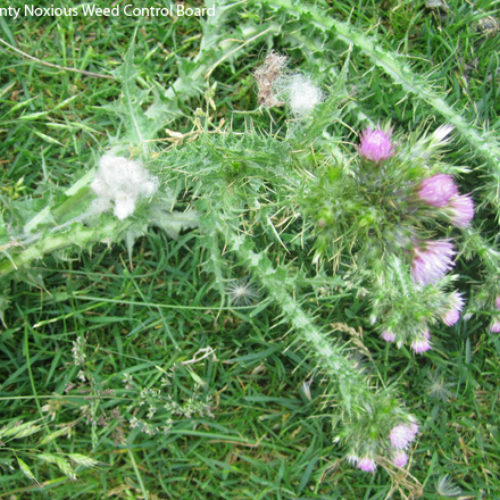 When competing with the dense growth of other ungrazed pasture plants, slenderflower thistle may grow soft and etiolated (white from a lack of chlorophyll). 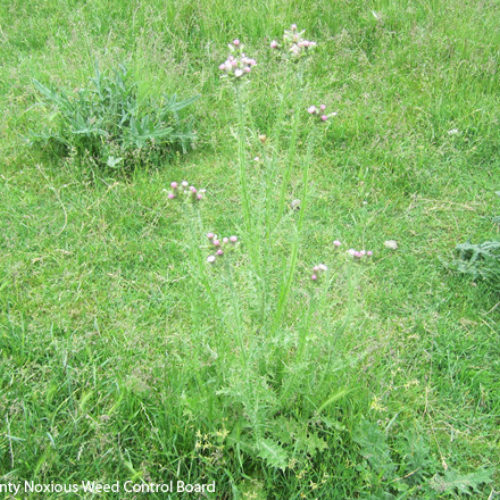 Sheep will then graze the thistle along with other pasture plants. 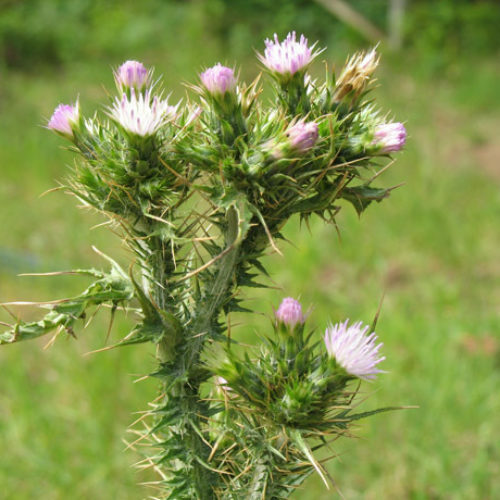 See our postcard for early detection information about Italian and slenderflower thistle. 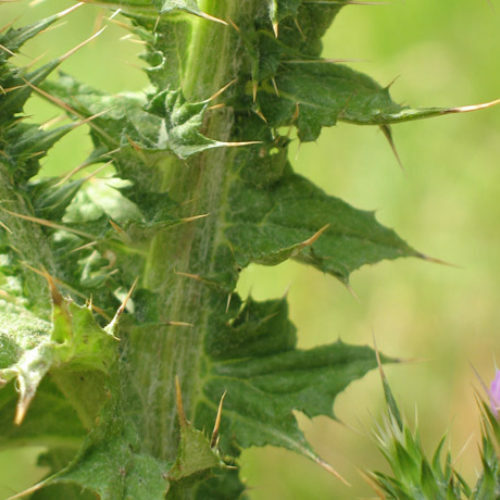 See our Written Findings for more information about Slenderflower thistle (Carduus tenuiflorus).